Owning a piece of commercial property involves pretty substantial work, and some of the most important tasks of that work simply involves keeping your commercial building clean. Fortunately, you don’t have to handle that washing yourself thanks to the New Jersey pressure washing pros at AAA Pressure Wash.
With a commercial building washing, we can get your property looking its best, no matter what kind of messy condition it might be in. Our experienced team will provide quick yet high-quality work to ensure that your building looks clean, inviting, and professional once more. 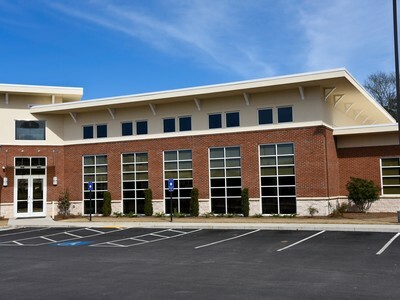 Depending on the location of your commercial property, you may find that you need a building washing a little more often than others might – or even a LOT more often. On the other hand, you may need to get your building cleaned only once a year at most. For that reason, you’ll be happy to keep our New Jersey pressure washing pros in mind since we offer . . . Financially, it may not be in your best interest to get a washing every few months, and appearance-wise, it may not be in your best interest to wait a full year. With our monthly, quarterly, and yearly washing packages, though, you can schedule washings that work with your budget and needs. You can enjoy all of these great benefits and more if you get regular building washing work from our New Jersey pressure washing pros. Combined with our other services such as commercial roof washings, this service will keep your building looking its absolute best, guaranteed. If you are looking for a Commercial Building Maintenance service in the Northern New Jersey area, please call us today at 888 – 857 – 5441 or complete our online request form.